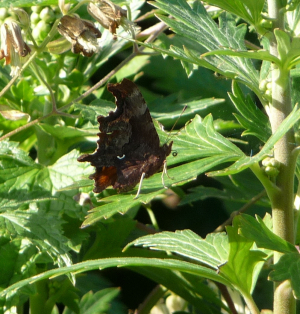 Observation - Comma Butterfly - UK and Ireland. Description: Can see it's 'tongue' in one of the photos! Can see it's 'tongue' in one of the photos!